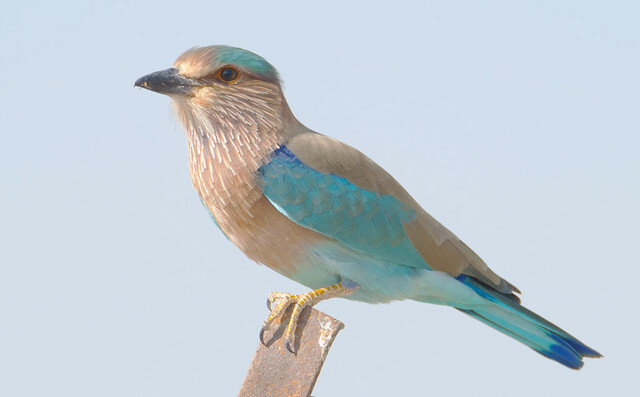 Bird sings and calls can help you identify the bird, when they sing, it is actually informing other birds where it is. With this singing and calls, you can learn more about birds. When you see a bird you can see it in front of you, but, when it sings you can hear it from all directions. Identifying a bird through its songs can be very interesting as they can call sitting in dense foliage, there are night time singers, they call from far away, and some birds look identical, but they sound little different. Also, biologists say that in the field they count birds mostly by hearing their calls and songs than they see them. Learning bird calls and songs can help you in two ways: The first one is, do a quick survey and find what kind of bird species you see in your local area, second when you hear bird’s song, maybe you don’t recognize it but you know from where the call is coming. Nightjars and Owls are best examples to identify the calls, and other good examples are flycatchers belong to Empidonax group. These birds’ looks similar, it is very hard to identify the bird, and they look alike in shape, size, colors, patterns, and everything else, but when here their call you can easily identify the difference in the group. -When you hear a bird and when you see it signing, then you will remember it forever. -It may not be easy to recognize bird songs initially, but with little effort and zeal you can identify them in no time. -Find an Audubon Chapter or a nearby bird club and participate in a field trip. Sing it to yourself: Some bird songs make you sing along, they almost like words, and you can remember it clearly whenever you hear that sound. -Birds prefer to sing latest tunes, of course, it sounds unrealistic, but it is true. Male sparrows when they are defending their turf or looking for a mate, it tries to use latest calls with different musical notes to keep up with the times. Also, the new studies show that the white-crowned female sparrows listen to new bird songs than old tunes, and male sparrows thinks that the bird’s use old tunes are much less threatening. -The previous studies show that the bird calls of a single species can change according to generation. The new studies published in Evolution Journal prove that the calls or songs can change eventually. The study also proved how the single bird species becomes two during the developmental time. The best way to recognize the birds, record the bird calls and listen to them repeatedly and you will remember them clearly. You can find over 600 sounds at online bird guide. You can also find the sounds in CLOM (Cornell Lab of Ornithology’s Macaulay) library. You can also read books and ask experts to learn more about bird calls, songs, and bird behavioral skills.